Proterra Inc. more than doubled in size in the past nine months, adding a second production line and shift and increasing its number of employees by more than 50%. The company attributes this rapid growth to strong interest in lower total cost of ownership clean energy transit options. 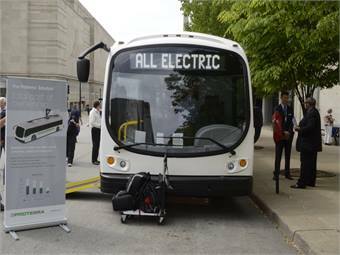 The electric bus manufacturer has also made significant infrastructure investments in the past year to prepare for planned future growth and to expand beyond its current U.S. transit agency customer base and commercial operators. Another area of strategic investment is the addition of top national talent to the Proterra leadership team. In the past 15 months, Proterra has hired executives from transit agencies, such as the Chicago Transit Authority and Star Metro, as well as from major industrial and transportation sector players, such as Honeywell, Navistar, Cessna and Hawker Beechcraft. The company’s most recent hires include VP, Marketing, Heidi McNary; General Counsel Eric McCarthy; and VP, Operations, Jim Gibbs. RELATED: "Proterra to Power S.C. Town."